Since 2007 Jupiter Kitchens has been enhancing the spaces in which you live. Jupiter Kitchens can bring your dreams to life with custom designed joinery that meets your needs and your budget. 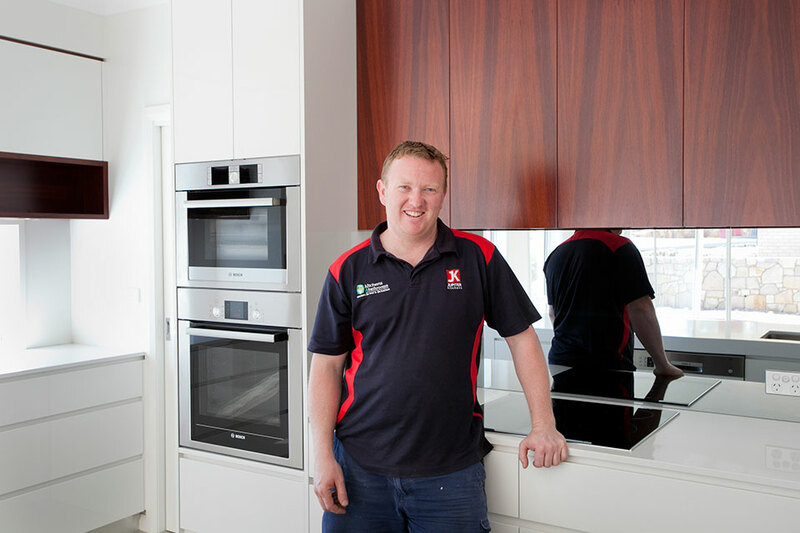 Director and family man Peter Triggs, has more than 20 years experience working in the kitchen industry. Over this time, he has developed excellent connections with some of Canberra’s leading builders and developers. Whether it’s your dream home kitchen or a commercial development, Peter and his expanding team can deliver what you need in custom cabinetry. Please visit the gallery to see our kitchens and other cabinetry. We are licensed to conduct work in the ACT and NSW. Jupiter Kitchens. Space for life.